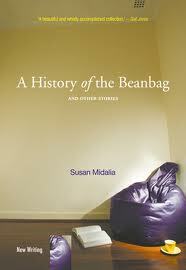 Susan Midalia grew up in the Western Australian wheatbelt. She has taught for many years at tertiary and secondary levels and currently works as a freelance editor. Susan has published articles on contemporary Australian women’s fiction in Australian and international literary journals. In 2006, she was awarded the Todhunter Literary Award and her short fiction has been published in publications such as Salt, Westerly and Wet Ink. She is married and has two adult sons.